The sheer number of cutlery concerns in Cattaraugus County may seem overwhelming, yet a comprehensive list will never be fully compiled. Only included are incorporated entities with established operations, and this simply does not offer the complete picture of cutlery in Cattaraugus County. Many masters labored unrecognized for decades, one sterling example being Max Krug of Little Valley, who had his own forge off Mill Street to manufacture and repair countless straight razors into the late 1950s, among his many clients being “DUBL Duck” based out of New York City. 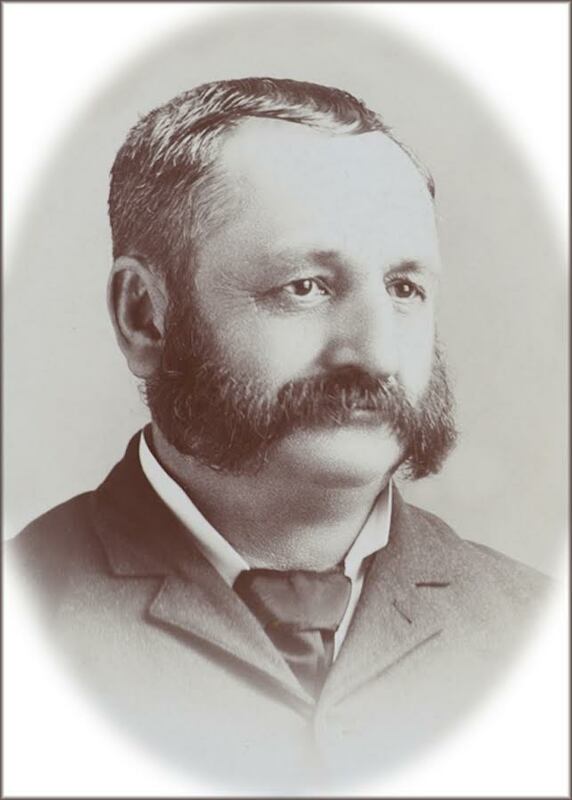 Others were modest operations only known regionally: Hugh Champlin had a paring knife factory on Fourth Street; John Engstrom Jr. made straight razors, as did John Stoll, with his brother Adolph selling them at Stoll’s Market on Main Street, Little Valley. “The Village of Knives” would soon host more cutlery concerns than anywhere in the world, with masters from Sheffield, England, and Solingen, Germany, recruited and immigrating to Cattaraugus County to be part of this American manufacturing revolution. Why? One man is responsible for the introduction and evolution of cutlery manufacturing in Cattaraugus County: J.B.F. Champlin. Entering the industry as a salesman for a cutlery importer after the Civil War, J.B.F.’s business savvy and altruistic recruitment of both talent and upstart competitors made Cattaraugus County and Little Valley the center of cutlery manufacturing in America. J.B.F. Champlin & Son, later known as Cattaraugus Cutlery, became beacons for masters seeking work, while local farmers found gainful employment during western New York’s harsh winters in the factories. Moreover, J.B.F. and his son Tint actually encouraged workers to use idle machinery at night, enabling countless jobbers and moonlighters regionally, which only complicates compiling a full list of cutlers in Cattaraugus County. It seemed that any worker could acquire a blade or three from the factory during the day then put a handle and another name on it at night, thus creating their own cutlery company. Just a few jobbers and/or moonlighters in Cattaraugus County that still demand recognition include J.D. Horning Razor, George Watkins, Seneca Valley and London Razor Company. From town to town this was the norm – back in the day, having a whetstone was required – and the many masters in Cattaraugus County kept very busy. Relatedly, myriad ancillary businesses created by cutlery industry demand cannot be forgotten. From sheaths, strops and hones, to packaging and shipping materials, countless companies sprang-up to support the industry. 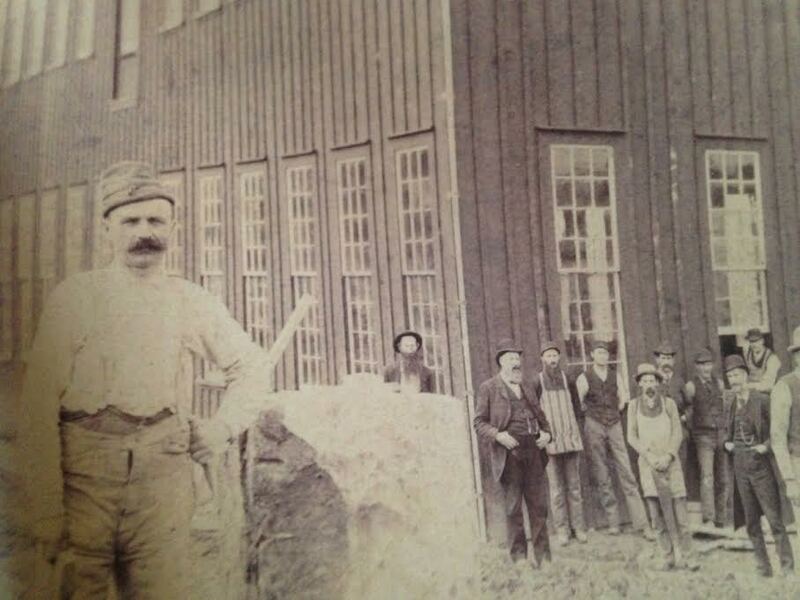 Rock City Hone is just one of many companies to emerge, later acquired by W.R. Case & Sons, and the Rich family of Cattaraugus added the production of pressed-paper boxes to their lumber empire. Meanwhile, other industries such a leather tanning, tool and dye, steel, coal, rail transportation became inter-reliant, just as basic utilities like water and electricity, as well as schools and teachers, local government, also evolved in tandem with the industry. In total, the actual number of cutlery concerns in Cattaraugus County easily approaches 50, while the “Magic Circle” exceeds 100. Extending into northwestern Pennsylvania, this “Magic Circle” was primarily created by the interrelated families of Champlin, Case, Platts, Brown and Burrell, with their own competing cutlery companies numbering no less than 32 over five generations. Today, related off-shoots W.R. Case & Sons, Cutco and KA-BAR are still manufacturing fine cutlery in America, as is Ontario Knife. This remarkable region, Cattaraugus County and its untold cutlery concerns, has created the most collected knives in the world, and its history is proudly on display daily. The authors would like to personally thank John Burrell and Todd Fuller for their additional research for this article, as well as Pat Cullen of the American Museum of Cutlery in Cattaraugus, New York, for his efforts to preserve and share the critical cutlery history of Cattaraugus County.